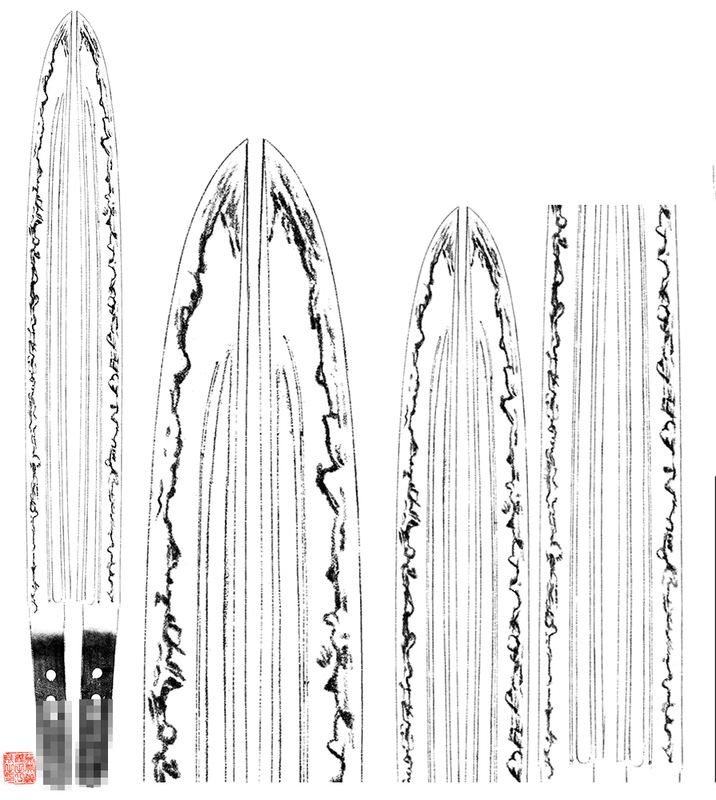 Unsyo, Unji, and Unjyu were well known sword maker which is called Ugai school or Unrui. The style is slightly different to neighboring Aoe and Bizen. The Jigane is Chirimen Hada and well grained. This blade is wide and has many works in Ha. This is gorgeous blade. Who made this sword do you think ? Blade length : 39.09 cm or 15.38 inches. Sori : 0.45 cm or 0.17 inches. Width at the hamachi : 2.6 cm or 1.02 inches. 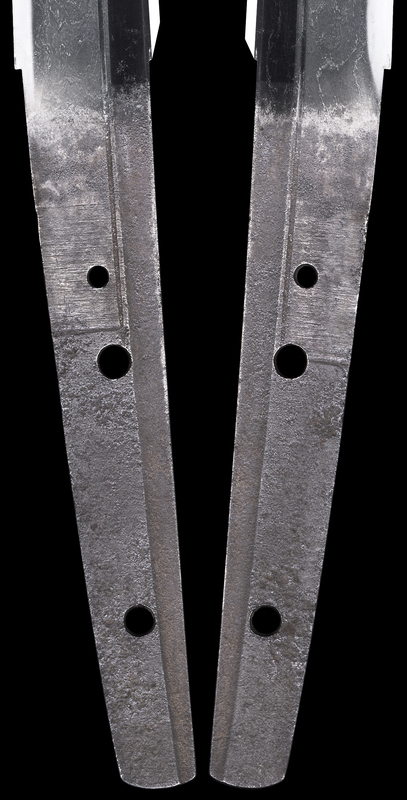 Kasane : 0.58 cm or 0.22 inches. 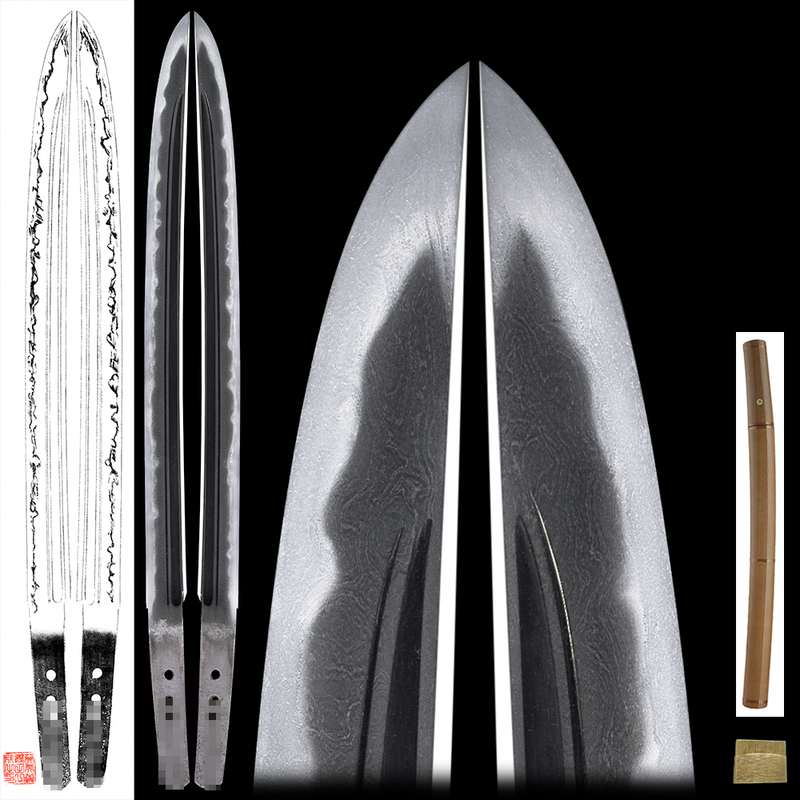 Shape : Hirauchi Wakizashi. There are Bo-Hi on both side. Jitetsu : Itame Hada and Mokume Hada well grained with Jinie attach. There are Chikei and Utsuri. Hamon : Ko-Nie Deki Choji Midare and Gunome Midare. In Ha, there are Ashi and Yo. Boshi is round Togari gokoro shape. 1:Jigane is quite well item had and mokume had mixed with jinie attach and Chikei work. 2:Boshi is round shape and togari style. He made many Tanto and sunnobi tanto and also small wakizashi but a few Katana. 5:He made many Bo-hi and soehi on the sword. Answer will be posted at next Appraisal Quiz.